Microfiber, simile-fabric cloth, it holds and removes the water-soluble dirt and fat with the mere aid of water. It perfectly cleans surfaces without leaving halos or residues. The microfibers remove even the smallest particles of dust and the greasy fat, such as fingerprints, leaving a deeply clean surface without the employ of chemical products. It has a longer life than the usual cloths and is highly resistant to chemical products. 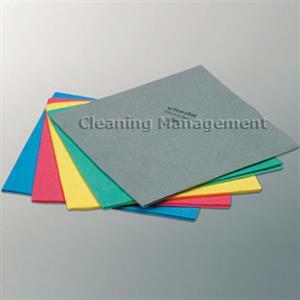 USE: ideal for all surfaces, in particular the most delicate ones; it can be used wet or slightly humid.